Sutherland is famed for its wide expanses of wilderness, stunning scenery and myriad of lochs and rivers welcoming the game angler. This south-east corner is the least remote part, much of it within an hour or so drive of Inverness, but nevertheless, there is some excellent salmon and trout fishing to be had. The best and most easily accessed of the trout lochs in this area lie in a broad belt running north-south from Beannach, about 4 miles north of Lairg, past Loch Craggie, down to Loch Migdale at Bonar Bridge. There are also additional lochs in the foothills along the coast from Dornoch to Brora. Many of these lochs experience a mayfly hatch, typically for a month or so from early June. 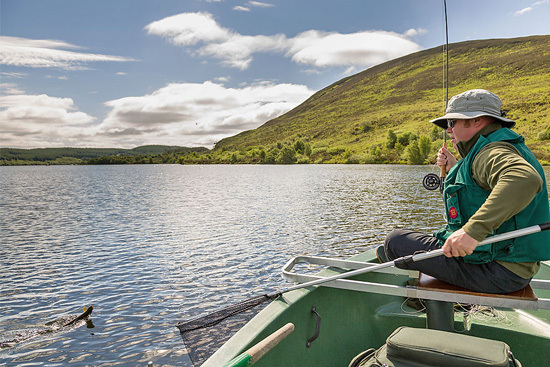 The local angling clubs (Lairg, Kyle of Sutherland and Dornoch) have boats on most lochs, offering permits from local outlets, with the exception of Loch Migdale, which is privately managed. There is a variety of trout fishing on offer suiting the most discerning fly fishers to family holidaymakers. Craggie is recognised as the cream of the lochs in this area, indeed one of the best in the Highlands. It is famous for both its mayfly hatch and the quality of its trout. 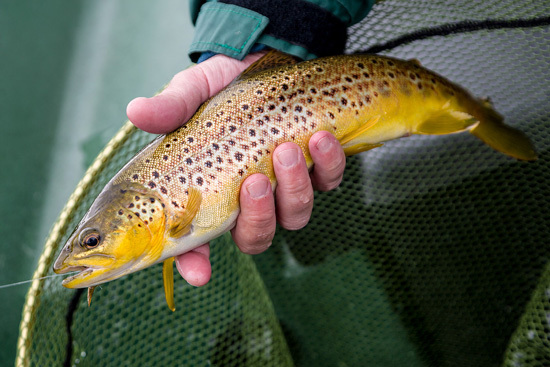 Brown trout average around the 1lb mark, with many better fish in the 2-3lbs range caught each season. The loch is about ¾ mile in length, and fishing is by boat only with only electric motors permitted. Loch Craggie lies above Lairg at an elevation of 545 ft (166m) and is accessed via a forestry track, as are the nearby lochs of Dola and Tigh-na-Creige, which also offer excellent fishing. The average trout size on these lochs is a little smaller, around the ¾lb mark, with occasional fish up to 2lbs. Loch Beannach lies within the same block of forestry as Craggie, about 2 miles further north. The loch lies at 617 ft (188m), and both boat fishing (with electric motors) and bank fishing are permitted. The loch has a good stock of healthy fish averaging around ¾lb in weight. Loch Buidhe is a sizeable hill loch, 1¼ miles in length lying at 538 ft in the hills above Bonar Bridge. Buidhe is the most easily accessed of all the smaller lochs in the area with roadside access. The loch reaches depths of 30-35ft and both boat and bank fishing are permitted. 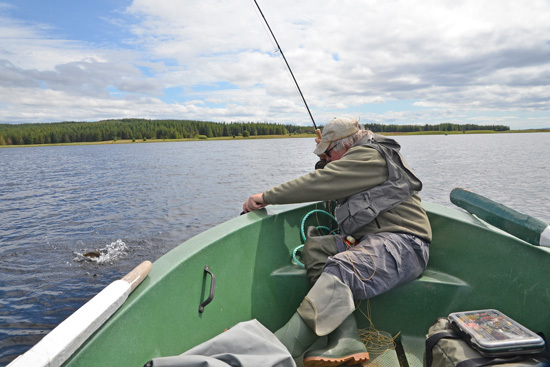 Trout can be caught all over the loch and average ½lb, with occasional fish caught to 1lb. Lannsaidh is another hill loch lying at an elevation of 515ft (157m) above Dornoch. 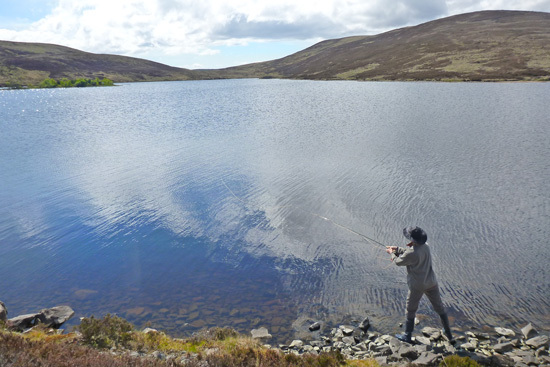 The loch is managed by the Dornoch Angling Club who stock in with rainbow trout, typically in the 1-2lb range. There is also a head of wild brown trout averaging three to the pound. Access is via a gravel vehicle track, which also continues up to Laiogh, which can be negotiated by most saloon cars. Loch Laiogh is a beautiful hill loch, situated in a remote setting lying at an altitude of 748ft (228m) above Dornoch. Its west end can be reached by a continuation of the Lannsaidh track, which is suitable for most saloon cars, but a 4x4 vehicle is required to reach the east end via a separate track, where the club’s boat is moored. Laiogh has a natural head of native wild brown trout averaging ½lb, as well as larger hatchery reared browns stocked by the club. Loch Migdale is a large picturesque, low lying loch situated behind the village of Bonar Bridge at an elevation of just 118ft (36m) above sea level. The loch runs broadly east-west for a total length of 1.8 miles (2.9 km), and although it reaches depths of up to 50ft (15m), much of it has a depth of 10ft or less. Trout are typically ½ to ¾ lbs is size, but better fish are fairly common and there are a handful of fish in the 2+ lbs range caught each season. Migdale is rich in natural food throughout the season, though the highlight is the mayfly hatch which peaks in June. 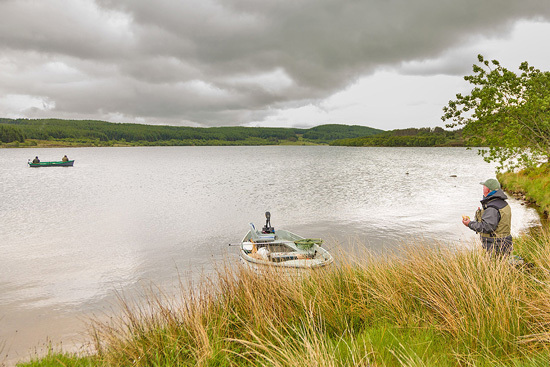 For further information on fishing this loch, visit our web page dedicated to Loch Migdale here. Follow TroutQuest's board showcasing trout fishing in south-east Sutherland.